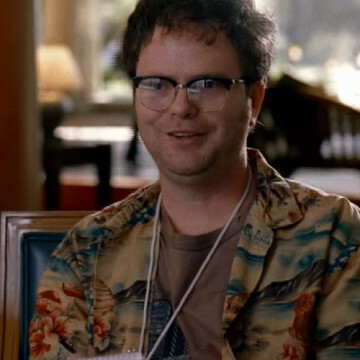 Rainn Wilson guest starred on a single episode of Entourage in 2005. During the second season’s ninth episode, I Love You Too, Rainn played the part of film critic/blogger R.J. Spencer. Rainn also filled the role of Dwight Schrute on the US version of The Office, which premiered only weeks before his Entourage appearance.